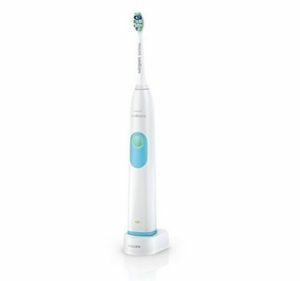 There are more than 10 Philips Sonicare electric toothbrush models available for you to buy at the moment of writing this article. Initially, it seems that there are lots of choices, but it is only half-true because a majority of these product lines have only one or two products. Philips has one model designed for kids aged from 4 to 10. That’s right! There are many benefits your kids can get from using the electric brush! 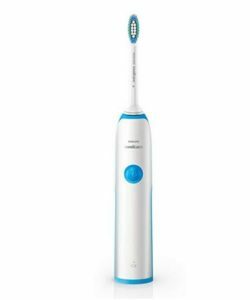 The Sonicare For Kids HX6321/02 has Bluetooth connectivity and several features that make brushing more fun. 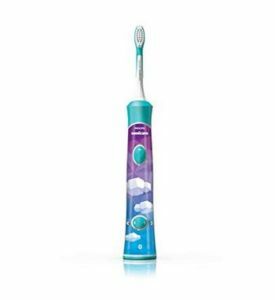 Kids toothbrush also has specially designed smaller sized brush heads. 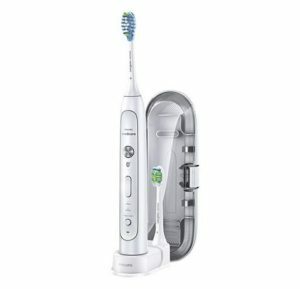 Here is a review about the Sonicare for Kids for you to check out. 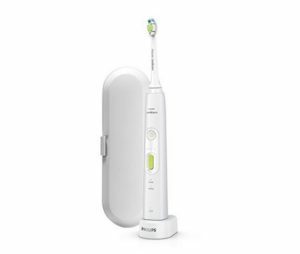 The Philips Sonicare Powerup HX3631/06 is the only model using rechargeable batteries you can replace yourself. It is worth mentioning that this model uses unique brush head HX3012/66 which currently is carried by a few retailers. The brush itself is cheap, but you should stock up on replacement brushes. 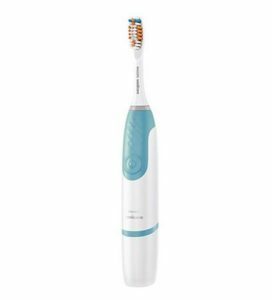 If you have seen the best-selling electric toothbrush list, I am compiling every month you probably know that Philips Sonicare Essence 5300 toothbrush has been among the Amazon’s best-selling toothbrushes for years. The obsolete 5300 model and current 5600 model are the only remaining models with old E-series replacement brushes. 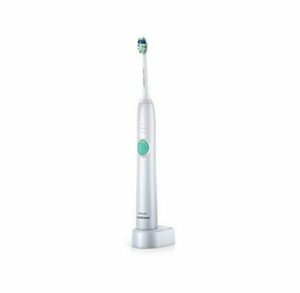 Sonicare Essence+ is very similar to the old Essence 5300. It also has old type NiMH battery and very basic features. The most significant difference between old Essence 5300/5600 and new Essence+ is the brush heads used. The new model uses current type SnapOn heads. 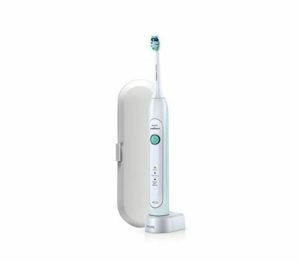 The Philips Sonicare 2 Series Plaque Control toothbrush is an entry-level dental care tool with one brushing mode and no extra accessories. It has a 2-minute timer but no Quadpacer, so the user has to try to split the brushing time between the upper and lower teeth. 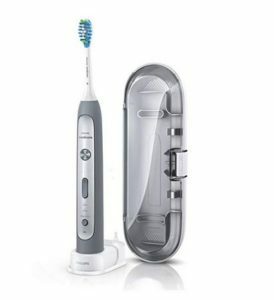 The Philips Sonicare 3 Series Gum Health electric toothbrush is a slightly more advanced variation of 2 Series model. It has the same single brushing mode, but it can be dialed up and down in 3 levels (some say – speeds). The 3 Series brush features newer Li-Ion batteries that can be charged faster and provide longer 3-week battery life. 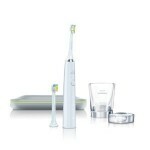 Philips Sonicare EasyClean was launched in Summer 2011. It looked like manufacturer designed this brush as a replacement for Sonicare Essence. Similar features with some extra bells and whistles, similar price range. But EasyClean is almost obsolete, but Essence is still going strong. 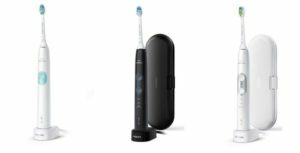 You can learn more about HealthyWhite toothbrush by reading my Philips Sonicare HealthyWhite Premium Editon toothbrush review. You might get confused because there are at least 3 HealthyWhite toothbrushes available in stores – HealthyWhite HX6732, HealthyWhite HX6711, and HealthyWhite Premium Edition. In my review, I also analyze the differences between HealthyWhite HX6732 and HealthyWhite HX6711 HERE and about regular HealthyWhite vs HealthyWhite Premium Edition. 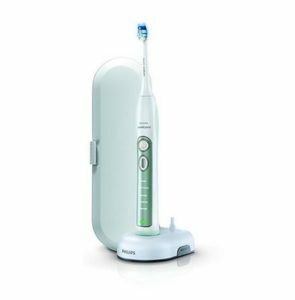 Philips Sonicare FlexCare Plus is the most feature-rich toothbrush in the manufacturer’s portfolio. You can read about its features HERE. If you can not decide if you need a FlexCare Plus or DiamondClean, read my comparison of DiamondClean vs FlexCare Plus. 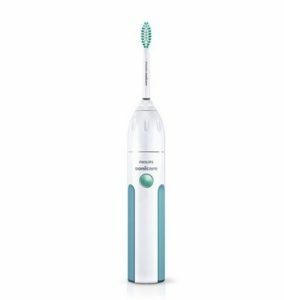 Philips Sonicare DiamondClean is currently top of the line toothbrush. Learn more about it in the Sonicare DiamondClean review. 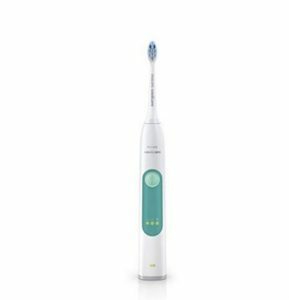 Here is my comparison of Philips Sonicare ProtectiveClean models. Philips Sonicare toothbrushes are famous because of the Dynamic Fluid Cleaning action. Here is a video which explains this feature in detail. Visit you local Philips Sonicare website to find more information about products, user manuals and documentation, check out answers to Frequently asked questions, and more!